The US is now less dependent on Pakistan for supply of cargo for its troops fighting al-Qaida and Taliban militants in Afghanistan, a Congressional report said today, amid a standoff between Washington and Islamabad over supplies through the country. The Senate committee report said that only 29% of the total Afghan cargo supply now goes through Pakistan; which about an year ago was nearly 50%. Islamabad has closed the crucial Nato supply route from Pakistan after the November 26th airstrikes that killed 24 of its soldiers. “An estimated 40% of all cargo transits the NDN (Northern Distribution Network), 31% is shipped by air, and the remaining 29% goes through Pakistan. An estimated 70% of cargo transiting the NDN enters Afghanistan via Uzbekistan’s Hairaton Gate,” the Senate Foreign Relations Committee said. Since 2009, the US has steadily increased traffic on the Northern Distribution Network (NDN), a major logistical accomplishment. According to US Transportation Command, close to 75 per cent of ground sustainment cargo is now shipped via the NDN, it said. As a result of increasing dependence on NDN for supply of logistics and cargo to its troops in Afghanistan, Senator John Kerry, chairman of the Senate Foreign Relations Committee emphasized that there was a need to build relationship with the Central Asia countries. “Central Asia matters. Its countries are critical to the outcome in Afghanistan and play a vital role in regional stability. As we reassure our partners that our relationships and engagement in Afghanistan will continue after the military transition in 2014, we should underscore that we have long-term strategic interests in the broader region,” Kerry said. And of course, you heard about the need for this transition here before you heard about it anywhere else. But there is a catch. 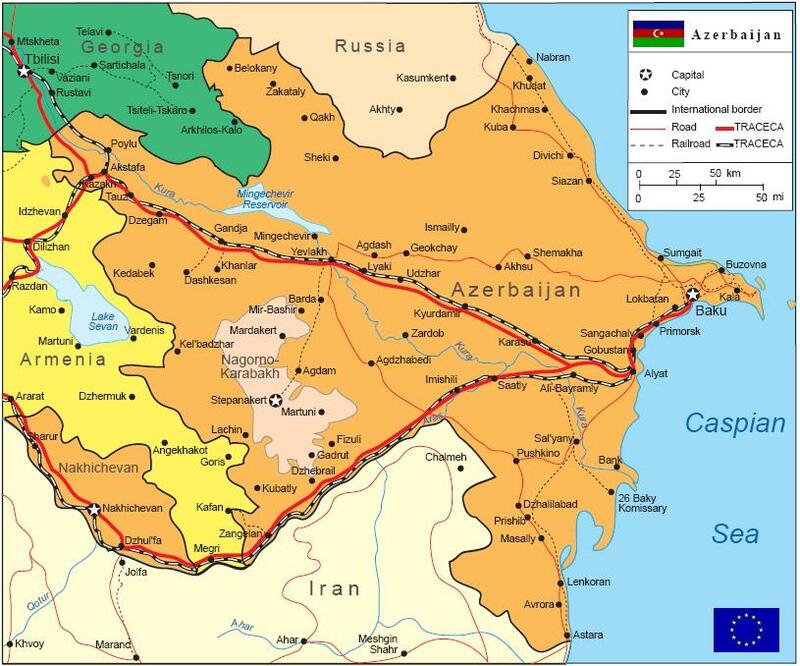 Kerry is right – Central Asia matters, but our lines of logistics now rely exclusively on routes through Central Asia and Russia (whereas I had recommended a logistics line from the Mediterranean Sea through the Bosporus Strait in Turkey, and from there into the Black Sea. From the Black Sea the supplies would go through Georgia to neighboring Azerbaijan. From here the supplies would transit across the Caspian Sea to Turkmenistan, and from there South to Afghanistan). The added benefit of such a logistics line would be increased spending, influence and authority in the region, a region heavy in oil and natural gas. The “disbalance of interests” (see EDM, December 15), favoring Russia over the United States in the South Caucasus, used to be offset by superior US resources, attractiveness and credibility. But that offset has diminished as US policy turned toward de-prioritizing this region (compared with the earlier level of Washington’s engagement). Lacking a strategy for the South Caucasus, the US has taken a back seat to Russia at least since 2008 in the negotiations on the Armenia-Azerbaijan conflict. Washington had reduced its profile and role on this issue (and on South Caucasus regional security writ large) already during the second term of the Bush administration. It folded the Karabakh conflict portfolio into other portfolios within the State Department; it handled this issue through medium-level diplomats versus Russia’s top leaders; and it separated this issue from US regional strategy, which was itself fading out. Under the Obama administration, the policy drift grew more pronounced, with domestic politics distorting US diplomacy on the Armenia-Azerbaijan conflict. Takeaway point: “Lacking a Strategy.” Read the whole report. What other administration could pull off such a feat? We have transitioned our logistics lines to the North (as I recommended almost three years ago), all the while alienating the Caucasus region in favor of Russian routes. Meanwhile, while every other nation is preparing to cut and run from Afghanistan, including the U.K., Georgia is literally doubling down on its troop levels in Afghanistan. What a strange world in which we live. Georgia is begging to be our ally, assisting us in Afghanistan at their own peril, and we have the chance to increase U.S. authority and presence in the Caucasus, and choose instead to empower Russia. Again, what other administration could pull off something like this? Forty-seven world leaders are Barrack Obama’s guests in Washington Tuesday at the nuclear security summit. Obama is holding bilateral meetings with just twelve of them. That’s led to some awkward exclusions — and some unfortunate appearances, as well. One of those left out was Mikheil Saakashvili, president of Georgia, who got a phone call from Obama last week instead of a meeting in Washington. His exclusion must have prompted broad smiles in Moscow, where Saakashvili is considered public enemy no. 1 — a leader whom Russia tried to topple by force in the summer of 2008. After all, Obama met with Viktor Yanukovych, the president of Ukraine and a friend of the Kremlin. And he is also meeting with the leaders of two of Georgia’s neighbors — Armenia and Turkey, both of which enjoy excellent relations with Russia. So is anyone really surprised? Each passing day of our Caucasus policy makes another Russian invasion of Georgia more likely. Perhaps Obama’s previous assurances to Georgia ring hollow now? And perhaps Georgia will rethink sending the Georgian 31st Infantry Battalion, recently deployed to serve alongside the U.S. Marines in the Helmand Province, to assist with the campaign in Afghanistan? Progress on Logistics Through Georgia? There are more logistical problems in the Khyber region, just as I predicted two years ago. Suspected Islamist militants armed with guns and rockets on Monday blew up a tanker carrying fuel through Pakistan for NATO troops based in neighbouring Afghanistan, police said. Several armed men lobbed a rocket and then opened fire on the supply convoy on the outskirts of Pakistan’s northwestern city Peshawar, senior police officer Imtiaz Ahmed said. “The attack triggered a huge fire and destroyed one tanker. Its driver escaped unhurt but his helper was wounded,” he said. In a subsequent exchange of fire lasting up to an hour, Pakistani security forces killed a militant, another police officer Karim Khan said. Police did not immediately identify the assailants, but the Taliban and members of local militant group Lashkar-e-Islam regularly attack NATO supply vehicles on the main route through northwest Pakistan. Lashkar-e-Islam is active in the lawless region of Khyber, which is just outside Peshawar and part of Pakistan’s tribal belt snaking along the Afghan border that Washington has branded the headquarters of Al-Qaeda leaders. About 80 percent of supplies destined for the 121,000 US and NATO troops in landlocked Afghanistan pass through Pakistan. Are we making any progress on engagement of the Caucasus? President Mikheil Saakashvili recently offered Georgia as a logistical hub for NATO’s operations in Afghanistan. This offer, made in an interview with The Associated Press, came only days after NATO had finalised a supply route agreement with Kazakhstan in the wake of NATO’s expanding mission in Afghanistan. While a supply route through Georgia already functions (for equipment, not armaments), U.S. officials have not immediately accepted Saakashvili’s new proposal. Russia might be in the way, analysts say. Saakashvili offered Georgia’s Black Sea ports of Poti and Batumi as docks for military supply ships and the country’s airports as refuelling points for cargo planes. AP quoted Pentagon officials as saying that the U.S. Defense Department was aware of Saakashvili’s offer, but had not explored the proposal. The U.S. Special Representative for Afghanistan and Pakistan, Ambassador Richard Holbrooke, has scheduled a visit to Georgia on February 21-22. He plans to meet Saakashvili and visit Georgian troops at the Krtsanisi National Training Centre and observe their training for the operation in Afghanistan. Reportedly, the issue of Georgia as a supply route for the war could also be on the table. Georgia has already been utilised as a transit point for shipment of non-armaments. 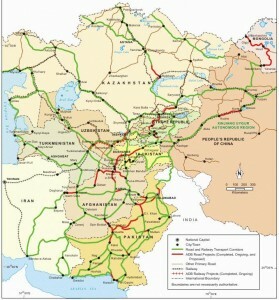 “The route to Afghanistan is already used extensively, because almost 80 percent of cargo which is not going through Pakistan is going through Georgia, and only 20 percent through Russia, already,” said Alexander Rondeli, President of GFSIS (the Georgian Foundation for Security in International Studies). Ariel Cohen, Senior Research Fellow at the Heritage Foundation, said that the supply route to Afghanistan via Eurasia has been in existence since 2001. “I do not think this [Saakashvili’s offer] is something particularly remarkable because the U.S. is covering all the bases. It is shipping equipment, both lethal and non-lethal, via Russia and Kazakhstan, as well as via Georgia and Azerbaijan across the Caspian Sea to Central Asia. Oh good heavens – commit already. To say that 80% of logistics that don’t flow through Pakistan already flow through the Caucasus is to say nothing. Ninety percent of our logistics flow through Pakistan. To say that Russia stands in the way is to reiterate what we all already know, i.e., that there are dangerous dictators who desire regional hegemony. It is to say nothing. Senior Research Fellow at the Heritage Foundation is a nice title for a man who needs to do better analysis work. The U.S. has not covered all of the logistical bases when we are reliant on Karachi, Chaman and Khyber to supply our troops in Afghanistan. There are attempts at better logistics, but this work bottlenecks in Khyber. It’s still not too late to engage the Caucasus (including Georgia) like I recommended one year ago. 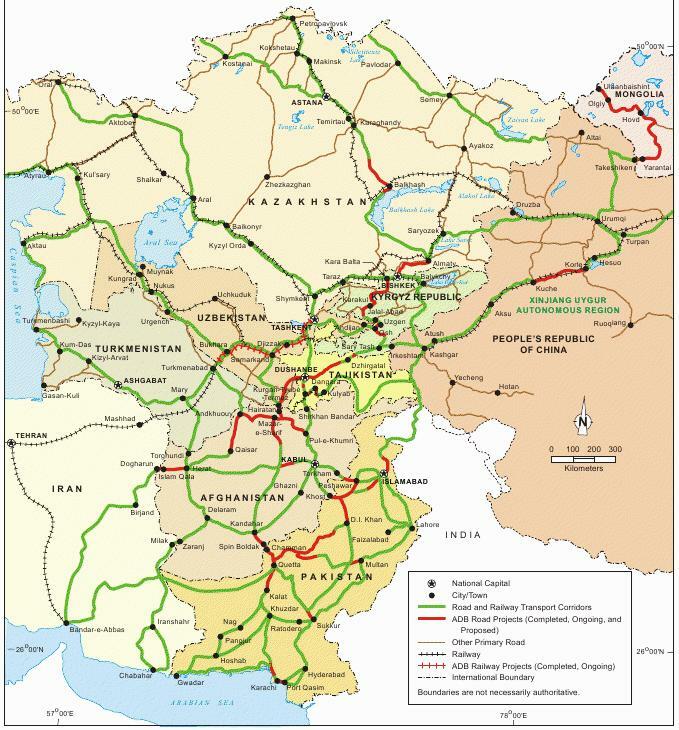 In It’s Time to Engage the Caucasus we described a potential logistics route through the Caucasus region in lieu of the problematic and troublesome Pakistan routes (especially through Khyber). 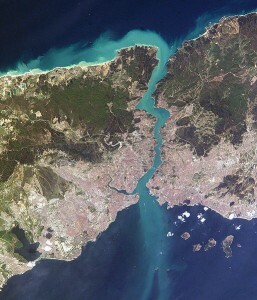 The recommended route involved transit from the Mediterranean Sea through the Bosporus Strait in Turkey, and from there into the Black Sea. From the Black Sea the supplies would go through Georgia to neighboring Azerbaijan. From here the supplies would transit across the Caspian Sea to Turkmenistan, and from there South to Afghanistan. In addition to this region being a potential viable alternative to Pakistan, we noted this region as being an up-and-coming economic power due in part to the massive quantities of energy buried beneath its soil. The engagement of the Caucasus region would potentially lead not only to logistics routes, but political and energy partnership as well. But the darker truth that accompanies this potential is that Russia is also interested. 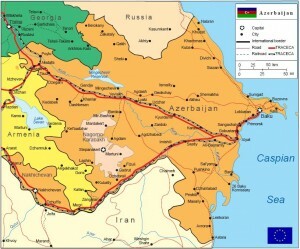 Russia is interest for several reasons, including the fact that Russian bases in Armenia have no viable land resupply and logistics route except through Georgia. Recent NATO exercises in Georgia infuriated the Russian administration, causing the Russian ambassador to say that “Differences between Russia and U.S. on a number of issues still persist. 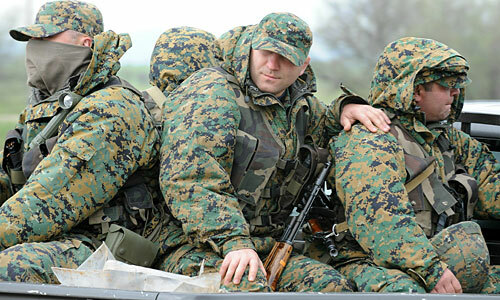 The most recent example is NATO maneuvers in Georgia. It disappoints us as it assures Georgian government that regardless of what it did towards Russia, it will gain NATO membership. Unfortunately, no lesson was drawn from August events,” referring to their 2008 invasion of Georgia. This is the first admission of the real reason behind the invasion of Georgia, veiled though it was. It was all about “lessons” for the U.S. and Georgia. The most recent warnings are less veiled. “The international policy in the long run will be focused on getting hold of energy sources, including in the Middle East, the Barents Sea shelf and other Arctic regions, the Caspian and Central Asia,” said the strategy paper that was posted on the presidential Security Council’s Web site. Medvedev’s predecessor Vladimir Putin, who is now Russia’s powerful prime minister, often accused the West in the past of trying to expand its clout in the ex-Soviet nations and push Russia out of its traditional sphere of influence. The Kremlin has fiercely opposed NATO’s plans to incorporate its ex-Soviet neighbors, Ukraine and Georgia. Russia currently controls most natural gas export routes out of the former Soviet region, but that grip is coming under growing pressure from China and the West. The European Union, which depends on Russia for about one-quarter of its gas needs, has sought alternate supply routes, including the prospective Nabucco pipeline that would carry the Caspian and Central Asian gas to Europe but skirt Russia. Intensifying rivalry for influence in the ex-Soviet region fomented tensions and helped stage the ground for last August’s war between Russia and Georgia, which sits astride a key export pipeline carrying Caspian oil to Western markets. The war erupted when the U.S.-allied Georgian President Mikhail Saakashvili sent troops to regain control over the separatist province of South Ossetia, which had close links with Russia. 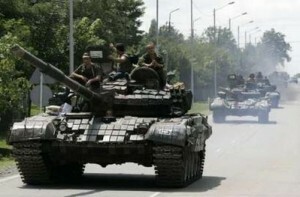 After routing the Georgian army in five days of fighting, Russia recognized both South Ossetia and another Georgian rebel province of Abkhazia as independent nations and permanently stationed nearly 8,000 troops there. President Barack Obama’s administration has sought to rebuild ties with Moscow, which plummeted to a post-Cold War low under his predecessor and focus on negotiating a new nuclear arms control deal. Medvedev and other Russian officials have hailed what they called the new administration’s constructive approach and voiced hope that Washington will drop plans to deploy missile defense sites in Poland and the Czech Republic — a top irritant in U.S.-Russian relations. But it warned that missile defense plans and prospects to develop space-based weapons remain a top threat to Russia’s security, and said Russia will seek to maintain a nuclear parity with the United States. However, it added that Russia’s policy will be pragmatic and will exclude a new arms race. The Captain’s Journal has recommended engaging the Caucasus by means of friendship, assistance and special dispensation for business partnerships. This remarkable admission by Russia, signed by Medvedev, directly admits that war is possible over energy. The romantic notions of influence in its so-called near abroad has been dropped in favor of more honest but crass verbal bullying and threats, targeted at an administration which wants to press the “reset” button with them. The team of Putin and Medvedev intend to bloat the cash flow directly into Russia in payment for energy, this very energy being extorted by force if necessary. Given the predisposition of the current administration to negotiate, talk, bargain and expect only the best of our supposedly erstwhile enemies, it isn’t apparent that Georgia, the Ukraine and other regional countries have any hope of continued sovereignty as it currently exists. If extortion and threats don’t pave the way towards a re-emergence of the old Soviet style government, then they have made their only other option clear. War is coming to the Caucasus. We have previously predicted a war between Russia and Georgia, or better described, a Russian invasion and rapid takeover of Georgia. The casus belli will be political instability, or cross border shooting at each other, or some other absurd smoke screen. The real issue will be the Russian bases in Armenia and inability to reach them without passage through Georgia. That, combined with Russian hegemony in its near abroad, will be the impetus for renewed military action. But the method in which is almost began is interesting. Georgian police officers are seen in a truck body at a road outside Tbilisi today. Georgian troops staged a mutiny on the eve of NATO exercises in the ex-Soviet republic, which the government said it ended without violence but accused Russia of backing the rebels (Vano Shlamov / AFP / Getty Images). Reporting from Moscow and Tbilisi, Georgia — Georgia’s president, a post-Soviet darling of the Bush administration, is already struggling with a buildup of Russian troops in breakaway territories and an angry opposition movement intent on driving him from power. Suddenly, the integrity of the armed forces is in doubt as well. The short-lived mutiny of a tank battalion today was another reminder of the instability that has racked Georgia since it was defeated last summer in a war with Russia. President Mikheil Saakashvili rushed to negotiate with the mutineers. And he took to the airwaves to accuse Russia — whose leaders loathe him and are bitterly opposed to his hopes of joining NATO — of trying to organize a coup. “What happened today is just a signal that the war has not ended yet,” said Alexander Rondeli, president of the Georgian Foundation for Strategic and International Studies. 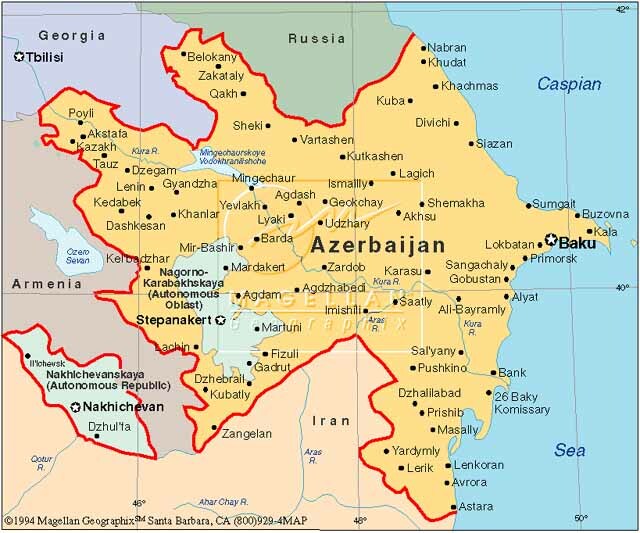 But the uprising further pressurized politics in the small republic in the volatile Caucasus region. The government accused Russia of orchestrating the uprising in an effort to undermine NATO war games set to begin in Georgia on Wednesday. “I am asking and demanding from our northern neighbor to refrain from provocations,” Saakashvili said in a televised address. This mutiny is thuggery, the actions of criminals. It’s tailor-made and just perfect for Vladimir Putin and his lap dog Dmitri Medvedev. Money has been pouring into Georgia to support the forces of unrest, and it’s quite the wonder that Georgia has held on as long as it has. But while the U.S. is glad-handing, or hand-slapping, or fist-bumping, Russia, and hitting the rest button in our relations, Russia is flipping the U.S. the bird. The Russian ambassador to the U.S. has given a stern warning on what the invasion in the August of 2008 really meant. Russia deplores the NATO decision to hold military training in Georgia. It shows that the alliance did not draw right lesson from the developments in the Caucasus in August 2008, RIA Novosto quoted Russian ambassador the United States Sergey Kislyak a saying in New York. Corporative Longbow 09 /Corporative Lancer 09 multinational training is expected to begin on May 6 and run through June 1 in Georgia. As many as 1,300 military men from 19 alliance member states and partners will participate. “Differences between Russia and U.S. on a number of issues still persist. The most recent example is NATO maneuvers in Georgia. It disappoints us as it assures Georgian government that regardless of what it did towards Russia, it will gain NATO membership. Unfortunately, no lesson was drawn from August events,” Russian ambassador said at Carnegie Council in New York. Lessons. That was the point of the Russian invasion of Georgia in 2008. Apparently we (and Georgia) didn’t learn them the easy way, and with the fist-bumping and smiles being the order of the day, The Captain’s Journal wonders if Georgia regrets sending its sons to fight alongside U.S. troops in Operation Iraqi Freedom. Some ally we turned out to be. Will Russian-Afghan Logistics Dictate Foreign Policy? Russia hasn’t lost interest in the Causasus in spite of the overwhelming worship of the new administration on the world wide stage. They have a long attention span and have kept their eye on the ball, so to speak. 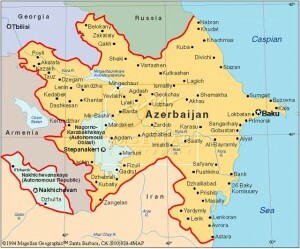 At The Captain’s Journal we have recommended the full engagement of the Caucasus region, including transit of logistics through Georgia to neighboring Azerbaijan; from there the supplies would transit across the Caspian Sea to Turkmenistan, and from there South to Afghanistan. This approach would have a dual affect. First it would address the issue of interdiction of supplies through the Khyber region in Pakistan by the Taliban, and second, it would aid and benefit Georgia and assure the world that the West supports its sovereignty. But perhaps Georgia shouldn’t have sent troops to Iraq to support Operation Iraqi Freedom. The U.S. doesn’t have such a long memory when administrations change. Russia is playing nice when it comes to logistics, in that it has “offered to discuss allowing the US to ship military cargoes across its territory to Afghanistan in a significant step seemingly aimed at building bridges twithWashington” (sic). On another front, the Russians are hailing comrade Obama. Russia’s Dmitry Medvedev hailed Barack Obama as “my new comrade” Thursday after their first face-to-face talks, saying the US president “can listen” — even if little progress was made on substance. The Russian president contrasted Obama as “totally different” to his predecessor George W. Bush, whom he blamed for the “mistake” of US missile shield plans fiercely opposed by Moscow. 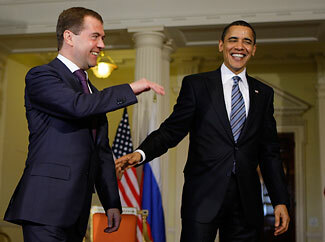 Obama agreed to visit Moscow in July after his talks with Medvedev on Wednesday on the sidelines of a G20 summit in London aimed at fixing the battered world economy. The missile defence plan was “a mistake that the previous US administration is responsible for. Many of my European colleagues also believe this,” the Russian leader added, without specifying who. Obama, speaking on Wednesday, admitted US-Russian ties had cooled, saying: “What we’ve seen over the last several years is drift in the US-Russian relationship. “There are very real differences between the United States and Russia, and I have no interest in papering those over. But there are also a broad set of common interests that we can pursue,” he said. One area of difference is Georgia — Russia sent troops and tanks deep into the ex-Soviet republic last August in response to a Georgian military attempt to retake the breakaway region of South Ossetia. Medvedev made clear later Thursday that Moscow’s views have not changed — in particular about Georgian President Mikheil Saakashvili — however he feels about Obama. “Everything that has happened, I will tell you frankly, that the leader of Georgia is responsible for everything. That is my direct and honest and open opinion. A catchphrase to remember: “jointly between Washington and Moscow.” So there you have it – the price for the happiness. Georgia had best be preparing to defend itself or have a puppet dictator installed who is subservient to Moscow. Same for the Ukraine, and other nations in the Russian near abroad. As for any possible U.S. reaction to this potential aggression? Well, we wouldn’t want to “cool” our new-found happy relations with Moscow. … interestingly, this leaves us vulnerable yet again to Russian dispositions, even with the alternative supply route. Georgia is the center of gravity in this plan, and our willingness to defend her and come to her aid might just be the one thing that a) kills the option of Russia as a logistical supply into Afghanistan, and b) saves Georgia as a supply route. Thus far, we have maneuvered ourselves into the position of reliance on Russian good will. These “thawed relations” might just turn critical should Russia decide again to flex its muscle in the region, making the U.S. decisions concerning Georgia determinative concerning our ability to supply our troops in Afghanistan. Are we willing to turn over Georgia (and maybe the Ukraine) to Russia in exchange for a line of supply into Afghanistan, or are we willing to defend and support Georgia for the preservation of democracy in the region and – paradoxically – the preservation of a line of supply to Afghanistan? Stratfor weighs in on the logistical maelstrom (at the time of writing of this article, the Stratfor analysis was still available through Google organic search, but not by direct URL for non-registered users). With little infrastructure to the east, the Pentagon is forced to go north, into Central Asia. Though some fuel is shipped to Western forces in Afghanistan from Baku across the Caspian Sea, there is little indication that existing shipping on the Caspian could expand meaningfully. Additionally, there would be the challenge of transferring cargo from rail to ship back to rail on top of the ship-rail-truck transfers that are already required in Afghanistan. But even if Caspian shipping was not a problem and if there was sufficient excess seaworthy capacity, there remains the problem of Georgia. Though politically amenable at the moment, it is unstable; furthermore, with some 3,700 Russian troops parked in both Abkhazia and South Ossetia, Russian military forces are poised to sever the country’s east-west rail links. These realities will likely drive the logistical pathway farther north, through Turkmenistan and Uzbekistan and through Kazakhstan to Russia proper (some U.S. transports already utilize Russian airspace). Turkmenistan presents its own challenges, as it is particularly isolated after years of authoritarian rule and continues to suffer from the legacy of what was essentially a state religion of worshipping the now-deceased Turkmenbashi. His successor, Gurbanguly Berdimukhammedov (who is rumored to be the Turkmenbashi’s illegitimate son), continues to struggle to consolidate power and is left with a series of delicate internal and external balancing acts. In short, enacting new policies under the new government remains problematic to say the least. There is another choice: Use a Russian or Ukrainian port of entry where organized crime will be a particularly serious problem (as well as espionage with any sensitive equipment shipped this way), or use a more secure — and efficient — port that will require a rail gauge swap from the European and Turkish 1,435 mm standard to the 1,520 mm rail gauge standard in the former Soviet Union. All of this is complicated, but the linchpin is working out an agreement to use Russian territory. This presents an even more profound challenge than Russia’s real (but not unlimited) capacity to meddle in its periphery. While there are a number of outstanding questions — where exactly U.S. supply ships might dock to offload supplies, whether a transfer of cargo from the Western to Russian rail gauge might be necessary, whether the route would transit Uzbekistan, Turkmenistan or both, etc. — these are minor details in comparison to the Russian problem. If there is an understanding with Moscow, the rest is possible. But that understanding must entail enough reliability that Russia cannot treat U.S. and NATO military supplies like natural gas for Europe and Ukraine. Without an understanding between Washington and Moscow, none of this is possible. The problem is that while the Kremlin has been reasonably cooperative up to this point when it comes to U.S. and NATO efforts in Afghanistan, such an understanding may not be possible completely independent of the clash of wills between Russia and the West. There is too much at stake, and the window of opportunity is too narrow for Moscow to simply play nice with the new American administration without a much broader strategic agreement and very real concessions. Nevertheless, NATO’s Supreme Allied Commander Europe, U.S. Gen. Bantz Craddock, has been making overtures to Russia about improving relations. 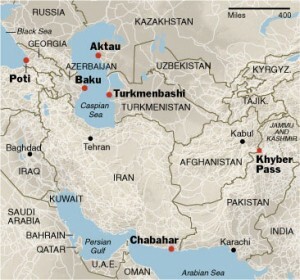 General David Petraeus is also involved in the efforts to line up a logistics pathway to Afghanistan. “The top US military commander for the Middle East and Central Asia has denied reports the US is planning to open a military base in Kazakhstan. Speaking in the Kazakh capital, Astana, Gen David Petraeus also said the US had no plans to withdraw its military presence from neighbouring Kyrgyzstan. The general is in Kazakhstan for talks on the role of Central Asian states in supporting America’s Afghan operations. Assuming the veracity and accuracy of this report, it would appear that the probability is that the chosen line of supply directly involves Russia, although only for so-called “non-military” supplies. But this choice might burden any upcoming decisions on the Ukraine and Georgia and whether they are allowed to enter into NATO, as well as other important European issues such as whether missiles will be deployed in Poland. While not learning much from the Stratfor analysis, they are on target with their analysis of the affects of the decision-making as it pertains to Russia. Stratfor says “there is too much at stake, and the window of opportunity is too narrow for Moscow to simply play nice with the new American administration without a much broader strategic agreement and very real concessions.” Concessions indeed. And while the route selected will be moderately to significantly less problematic that the alternatives, and while Gates, Petraeus and Craddock might actually believe (for now) in Russian good intentions, they should remember that Russia is ruled by ex-KGB, bent on regional hegemony for at least what they consider to be their near abroad. The alternative through Georgia still exists, as long as the U.S. is willing to play hard ball and defend her sovereignty (as well as defend her as a line of logistical supply to Afghanistan). More specifically, the line of supply is as follows. First, supplies (including military supplies) would be shipped through the Mediterranean Sea through the Bosporus Strait in Turkey. And from there into the Black Sea. From the Black Sea the supplies would go through Georgia to neighboring Azerbaijan. But it isn’t obvious that this line of supply is impossible, however impractical it may be. U.S. military leadership should remember that an alternative exists to the Russian line of supply to Afghanistan. It will be too late to act to secure a line of supply through Georgia at some point in the future, but until then, the U.S. should carefully examine the Russian demands for this logistical aid. The Russian demands are likely to evolve and expand, and it is this expansion that will prove to be troubling. Russia is playing nice now. This won’t last forever. How Many Troops Can We Logistically Support in Afghanistan?